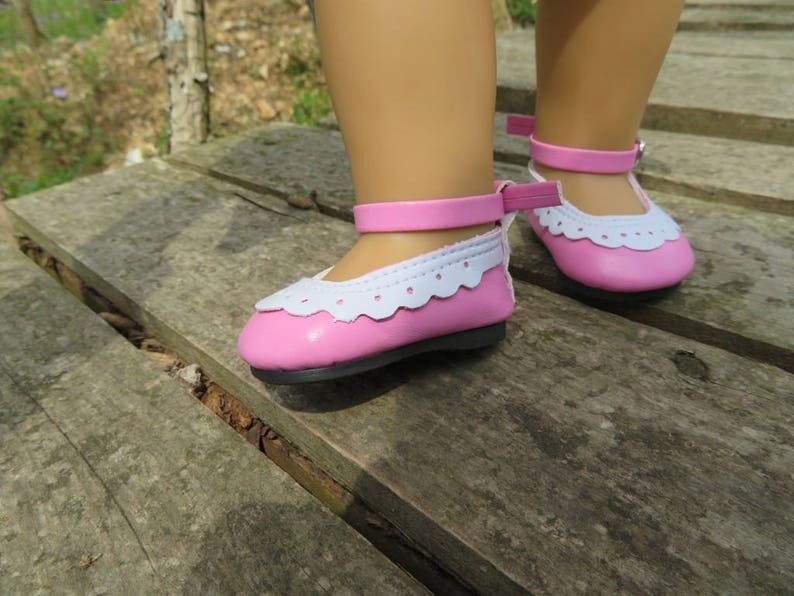 Cute Hot pink 18" Doll shoes, High quality. Fit American girl dolls. Straps are removable for two different looks! These little shoes are just adorable and very well designed and constructed. The bright pink is fun and I know my granddaughter will love them. Thanks.